Until the late middle ages, matzo was made in the home. As restrictions on the amount of water tightened, the dough became harder to knead. Mixing of matzo dough thus required more forearm power and was, like so many Jewish functions, removed from the home and industrialized. As Jews moved into larger cities in Europe in the 1700s, matzo began to be produced commercially. Matzo bakeries provided seasonal labor to poor members of the community leading up to Passover. The industrial revolution brought on yet another change, a shift from hand matzo assembly lines to machine made matzo. The first machine made matzo was produced in Alsace in 1838, and quickly spread throughout the world. The first matzo made by machine in Jerusalem dates as early as 1863. In 1886, one Rabbi Abramson of Salant arrived in the United States with a black market passport. The passport was listed in the name of Dov Manischewitz. He started his eponymous company in Cincinnati, OH, and eventually came to expand from matzo to many kosher products. Matzo dumplings (Yiddish Kneidel) probably appeared during the late middle ages. Prior to the introduction of the potato from the New World, Jewish families suffered from a severely limited diet during Passover. Poorer families could not afford a great deal of meat and some ingenious person realized they could make a version of dumplings using ground matzo, eggs, and animal fat. Prior to the introduction of matzo meal (machine ground matzo first introduced by the Manischewitz company in the 19th century), the balls were made of crushed matzo wafers. It was with the introduction of matzo meal that the balls began to achieve a fluffy character and spread from a Passover only food to a year around delicacy. Making fluffy matzo balls requires finely ground matzo, which is difficult to create by hand. The first official publication of matzo balls appears in The Jewish Manual in London, 1846. It makes its debut in an American cookbook in 1873 (Jewish Cookery, published in Philadelphia). By the 1930’s, Matzo Ball Soup had broken the bounds of Passover completely and was available as a daily food. Like Cholent, Matzo ball soup has served as an inspiration for songs and poetry. 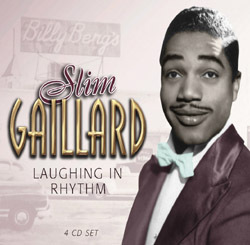 The earliest popular song on the subject was written by Slim Gaillard, an African American jazz musician, in around 1945. Matzo Ball Soup’s status as a comfort food (as Gaillard implies) has made it a staple for cold days, or days when one has a cold, for Sabbath fare, and the rest of the week. Many American cities have comparative ratings of which delis make the best Matzo Ball Soup, and in Los Angeles, one may order Matzo Ball Soup for home delivery. As it has become synonymous with Jewish cuisine, it is also linked to Jewish identity.